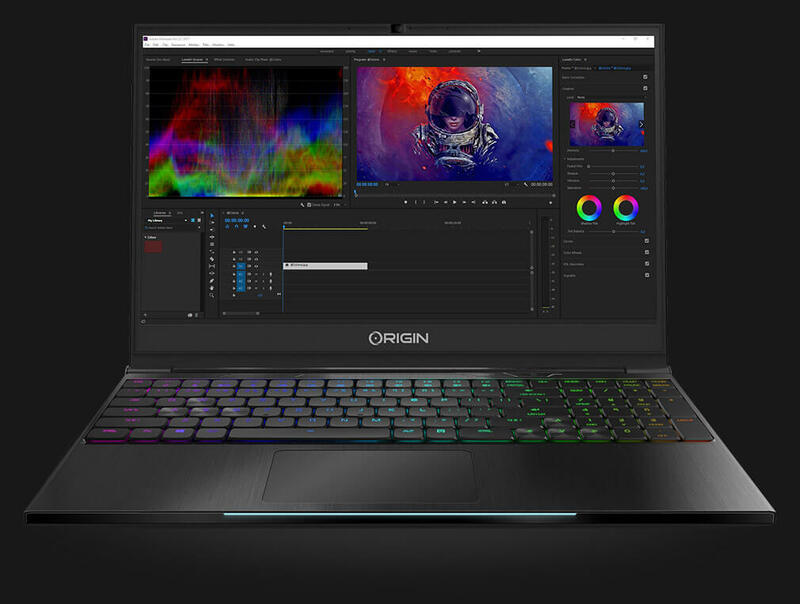 Hit the road with the customizable and powerful ORIGIN PC EON15-S gaming laptop. 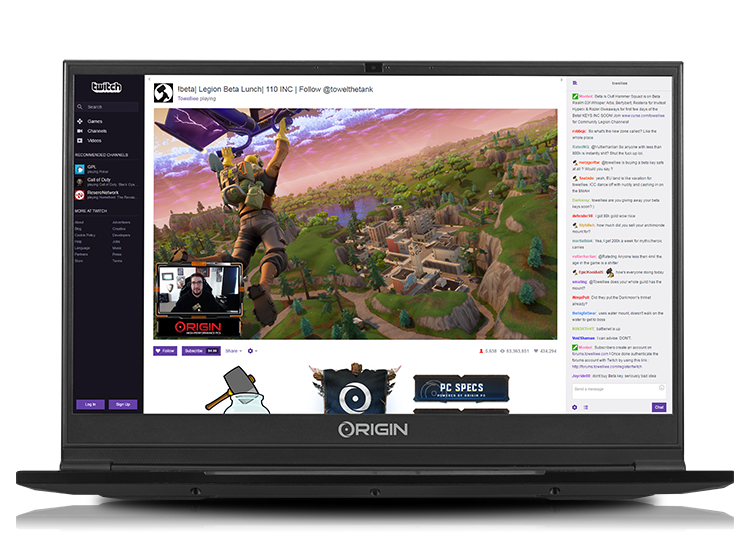 Powered by the latest Intel 6-core processor, NVIDIA GeForce GTX desktop-class graphics, and a 4-cell battery that can run up to 8 hours thanks to a battery-saving toggle, the EON15-S is perfect for any streamer or gamer on the move. With a vivid 1080p IPS-level LED screen perfect for games or work, a new hybrid mechanical RGB keyboard for faster typing, and weighing only 4.5 pounds, mobile PC gaming is the greatest strength of the EON15-S. Choose up to an NVIDIA GeForce GTX 1060 desktop-class GPU to play all of today’s games and immerse yourself in VR. For a smoother experience with games and apps choose a 144Hz display with an Intel Core i7 CPU. Multitask with multiple apps with an 8th generation Intel Core CPU, up to the 6-core i9-8950HK. When you’re not gaming, work on important projects without worrying about system slowdowns thanks to support for up to 32GB of dual channel DDR4 RAM. Even add some extra flair with a fully customizable RGB keyboard with individual key lighting. 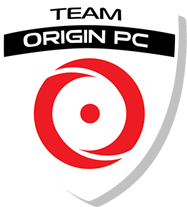 Completing the EON15-S package is your dedicated ORIGIN PC Support Team, always available with 24/7 US based support. Improvements to the design of the EON15-S paved the way for an even lighter laptop, a new hybrid mechanical keyboard, and support for powerful desktop-class NVIDIA GeForce GTX graphics. 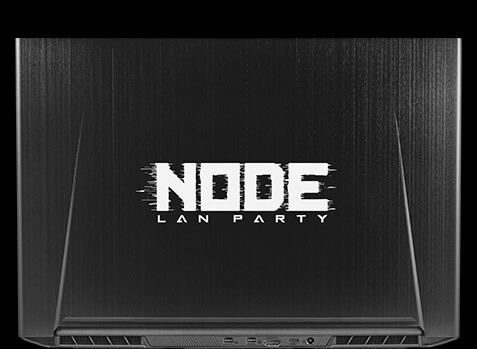 The barrier for PC gaming keeps getting lower, and we wanted to offer a new gateway for new PC gamers. 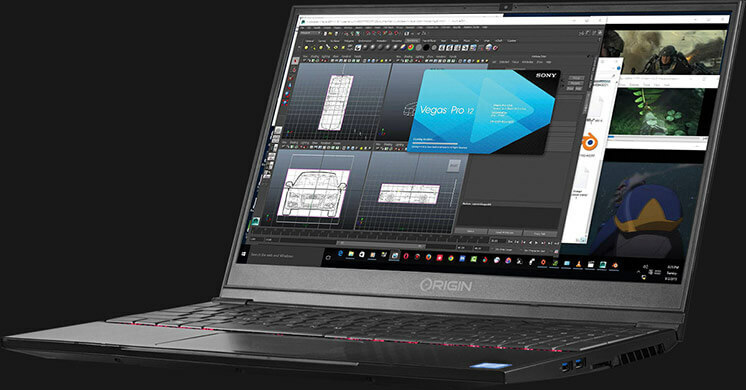 The EON15-S isn’t just made for gaming, the hardware inside allows for working with graphically demanding software, processor-intensive apps, and content creation. Need to work on videos or graphics while traveling? The EON15-S has the mobile power to help you on your projects when you’re away from a desktop. Don’t worry about weighing yourself down, as the EON15-S is only 4.5 pounds. With a large 4-cell battery and a battery-saving toggle that automatically puts the EON15-S in a low-power state, the EON15-S has an incredible battery life of up to 8 hours. With the toggle, you can swap between the high-performance gaming mode to a low-power mode that’s perfect for browsing the web, watching movies, or finishing up some last-minute homework. Take the EON15-S on-the-go for casual use without having to be connected to your AC adapter all the time. 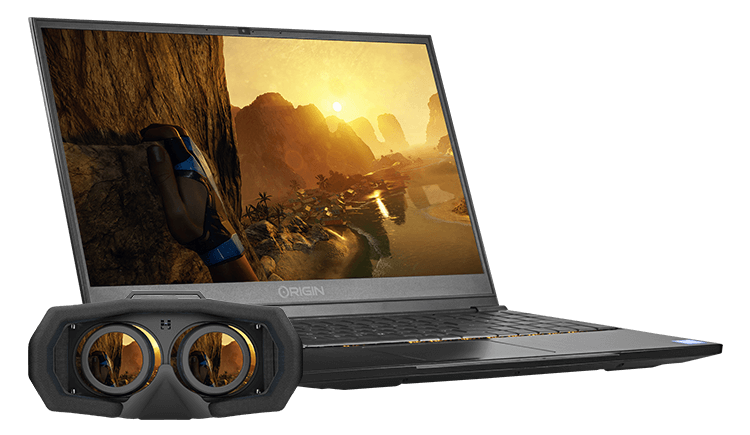 The EON15-S is a VR-Ready laptop powered by NVIDIA GeForce GTX graphics, up to a GTX 1060 desktop-class GPU and an 8th generation Intel Core processor. With enough USB 3.0 ports and an HDMI output, the EON15-S is prepared to use the latest VR hardware anywhere you want to experience VR. 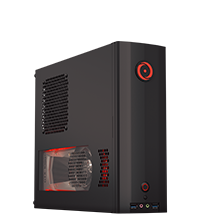 Get incredible performance in today’s games and play PC games anywhere. The EON15-S has been designed to offer high-performance gameplay on-the-go from ORIGIN PC, with a lower barrier of entry. Power your games and software on the EON15-S gaming laptop with Intel 8th generation Core processors. Supporting up to the Intel Core i9-8950HK processor with 6 cores, you can hit processing speeds up to 4.8GHz thanks to Turbo Boost. Multitask like a boss, and don’t worry about running several programs at once thanks to Intel’s Hyper-Threading technology. Browse the web, watch movies, and edit videos with the high performance of the 8th generation Intel Core processor. Built on the Intel HM370 Express Chipset, the EON15-S will ensure no time is lost when gaming or booting up programs. 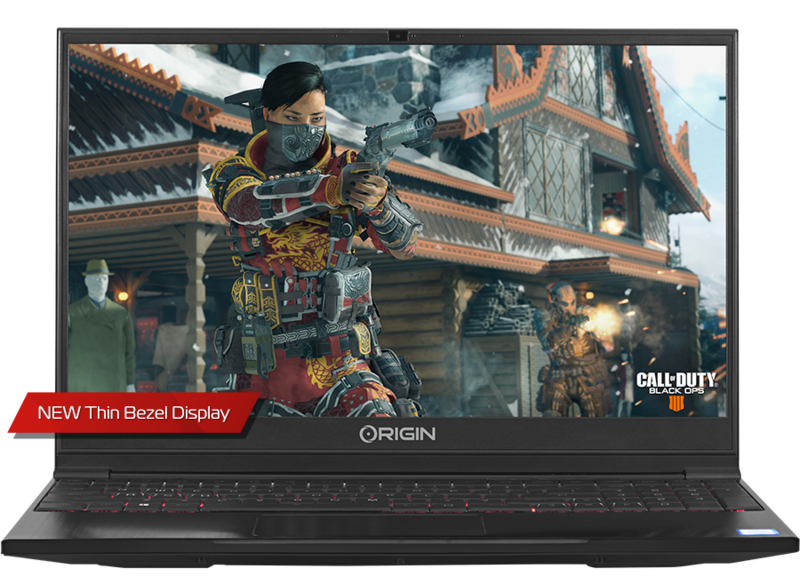 Dive into a world of high-definition graphics on your EON15-S gaming laptop with a desktop-class NVIDIA GeForce GTX 1060 (6GB) GPU. This NVIDIA Pascal™ 10-Series graphics card supports DirectX 12 for super-fast, smooth, and power-efficient gameplay. Get incredible 1080p desktop-class performance with the GeForce GTX 1060 so you can play today’s latest games or any games from your backlog. Combine the GTX 1060 with an Intel Core i7 and a 144Hz display so you can get smooth gameplay while on the go. To take full advantage of the GTX 1060 (6GB) we’ve included an FHD 1080p IPS-level display for impressive visuals. With this high-quality display, you can watch movies, catch up on lectures, and read books without worrying about other light sources interfering. The EON15-S is fully capable of outputting up to 3 external monitors using two Mini DisplayPort outputs and 1 HDMI output so you can connect to a projector, TV, or set up a multi-monitor battlestation at home. Either maximize your productivity with multiple monitors or make a streaming station for your gameplay. Configure your EON15-S to support 32GB of DDR4 RAM with speeds up to 2666MHz. With that kind of memory and speed, games and software should run smoothly on your EON15-S.
Because storing your data is critical, the EON15-S supports two high-speed m.2 PCIe SSDs for up to 4TB of solid-state storage. Store and retrieve data ridiculously fast with the latest in SSD technologies, and boot up your OS in seconds. Need to get a stream up while on the road? The EON15-S is the perfect thin and light streaming partner! 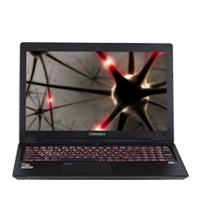 Game and stream on the EON15-S with the Intel Core 6-core processor to handle encoding and gameplay at the same time. Play your favorite games without worry thanks to the desktop-class NVIDIA GeForce GTX graphics. Combine the power of the EON15-S with a fast internet connection via your high-speed Ethernet port or Intel Dual Band Wireless AC-9560 so you can stream anywhere. The EON15-S features multiple USB ports including one USB 3.1 Gen 1 Type C port, two USB 3.1 Gen 1 Type A ports, and one USB 2.0 port. Be ready for future devices and technologies using the USB 3.1 Gen 1 Type C port and be prepared to connect any external devices such as external hard drives or peripherals. Go online with an RJ-45 LAN port, or go wireless with Intel Dual-Band Wireless technology, so you can play online or visit your favorite websites wherever Wi-Fi is available. For even more customization, ORIGIN PC can laser etch a logo or design on the lid of your EON15-S gaming laptop. It’s a premium look that lets you showcase your personalized laptop, whether it’s a company logo or your custom design. Customize the lighting of your multi-colored backlit RGB hybrid mechanical keyboard, including individual key lighting for near unlimited color options to match your style. You can also turn off the RGB keyboard lighting for a stealthy appearance. Our job does not end when your EON15-S gaming laptop arrives. Every ORIGIN PC system is backed by a lifetime service agreement. When you purchase your EON15-S, you will receive FREE dedicated service, including labor, from our trained and experienced staff whenever you need it. We offer FREE support via email, online chat, 24/7 US based lifetime phone support, and more.